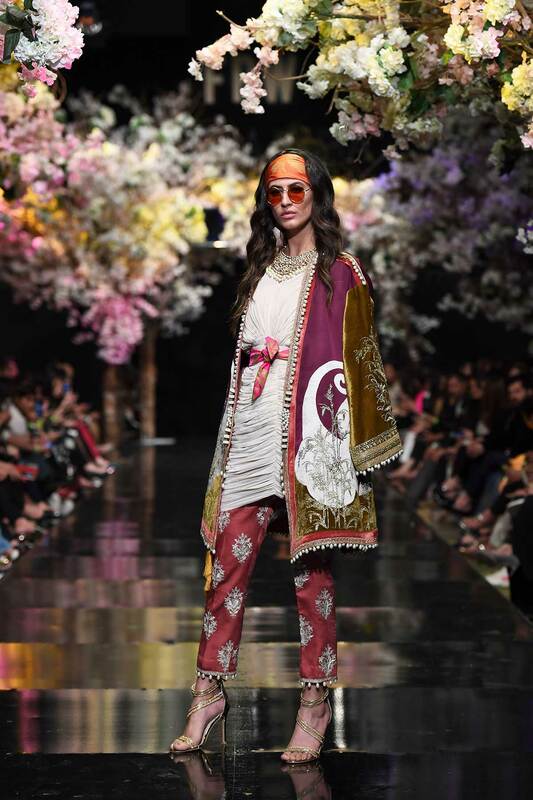 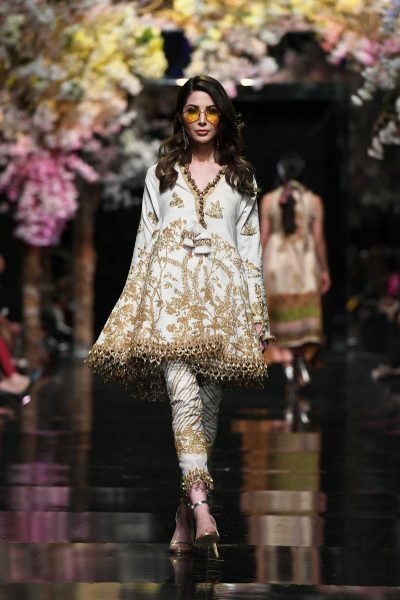 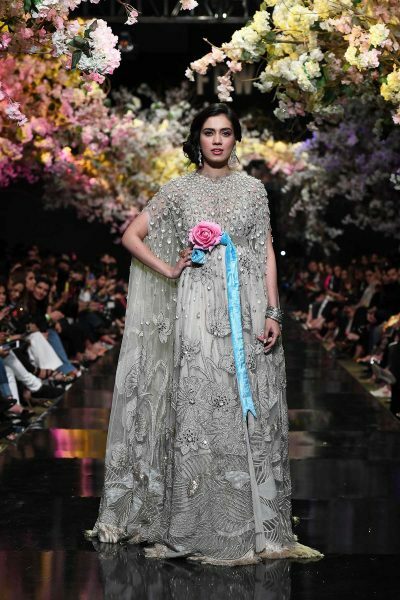 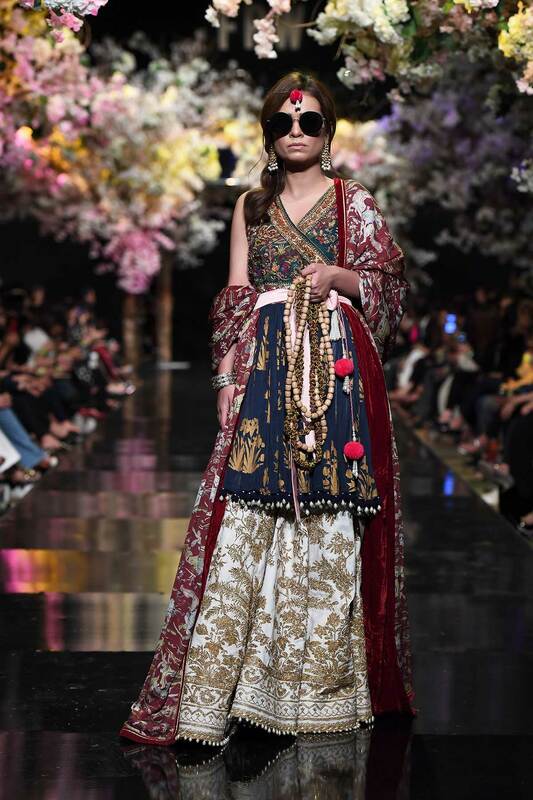 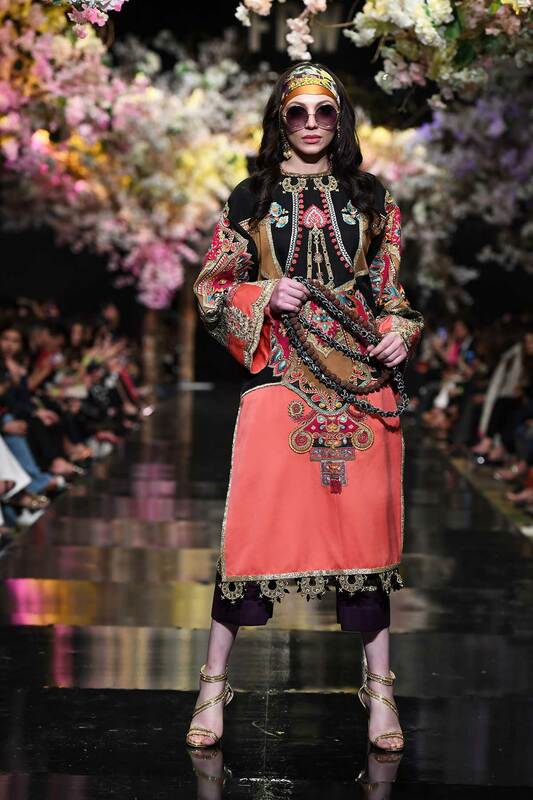 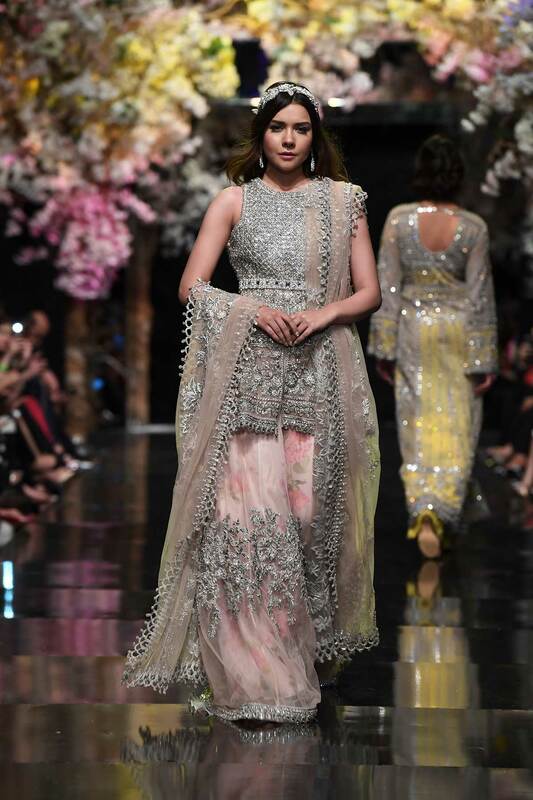 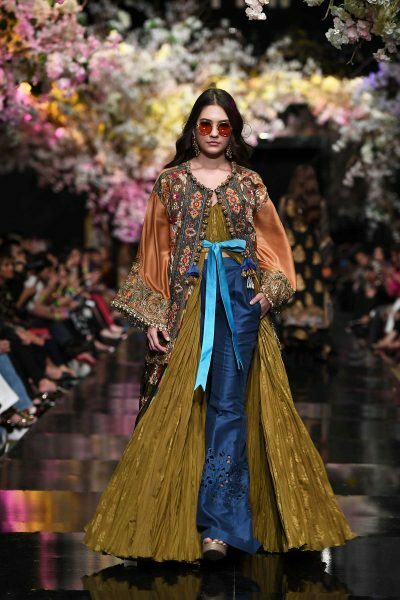 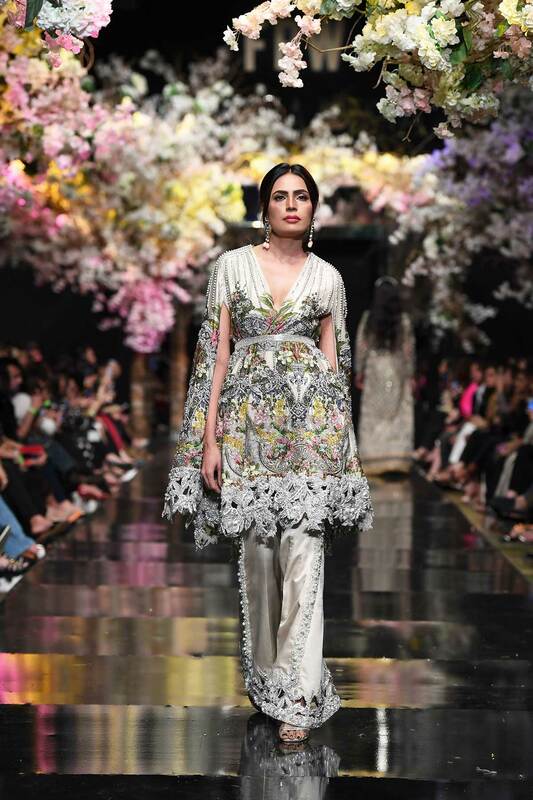 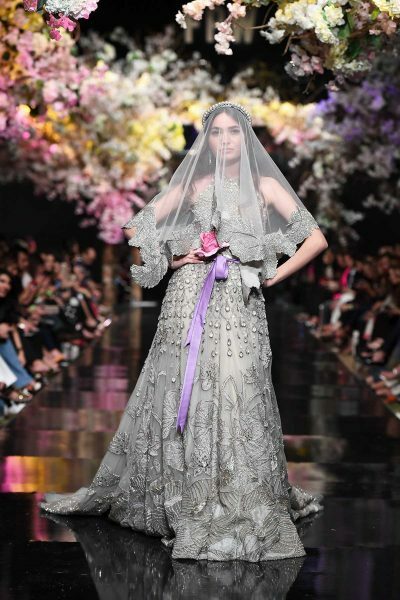 Sana Safinaz has been one of our favourite designers, whether it’s their everyday Muzlin pret collection or the heavier, bridal collection, we’re always agog to see what they’re presenting. 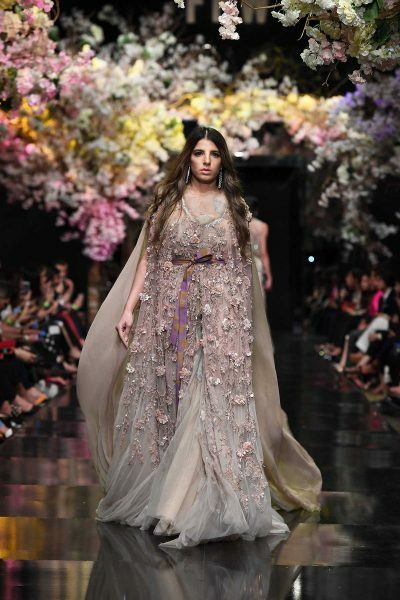 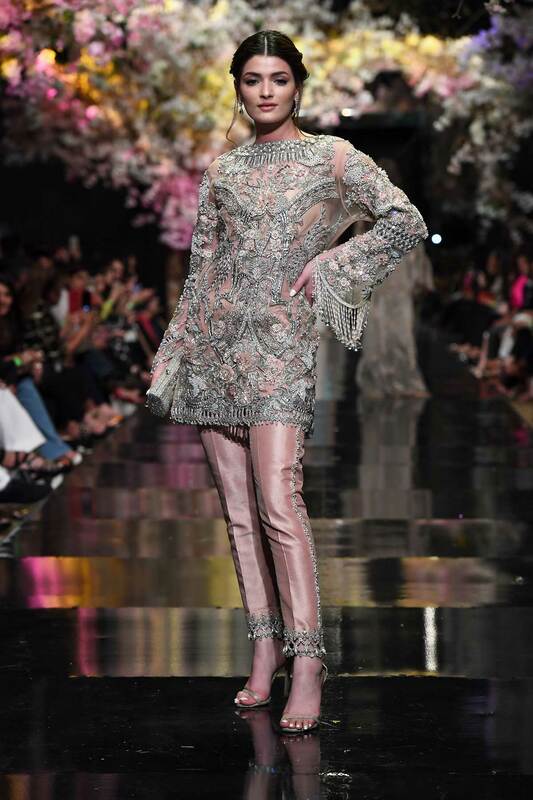 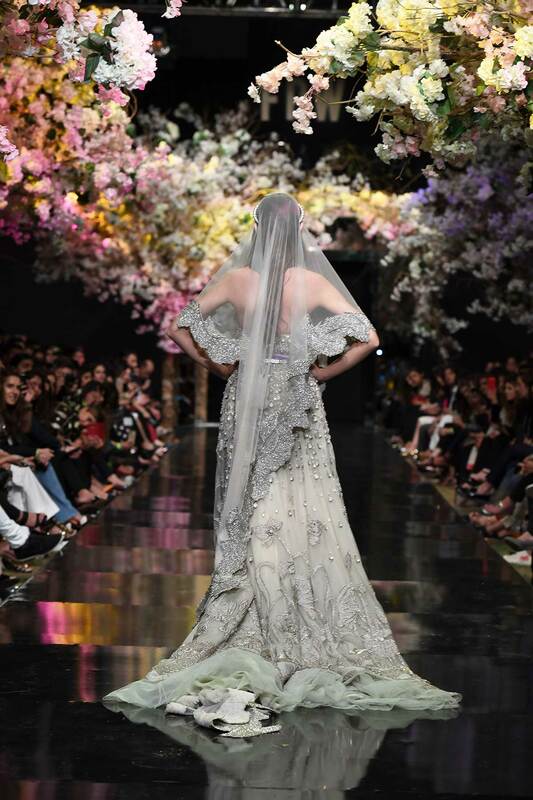 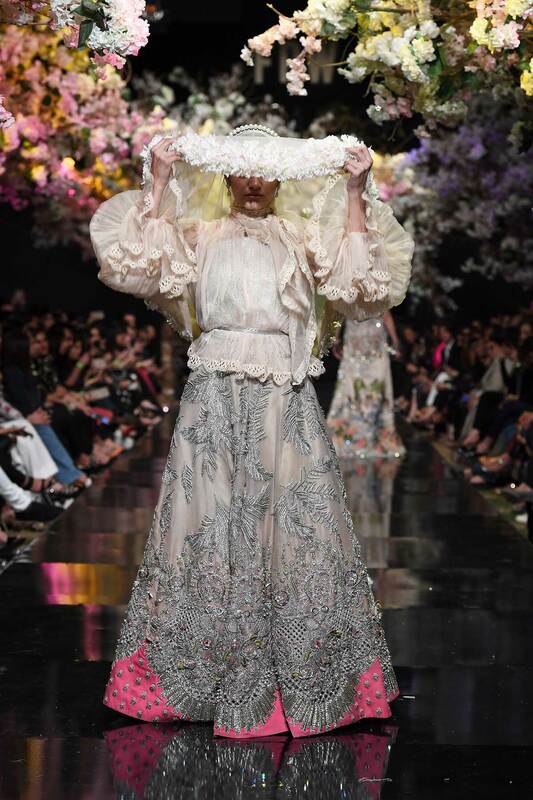 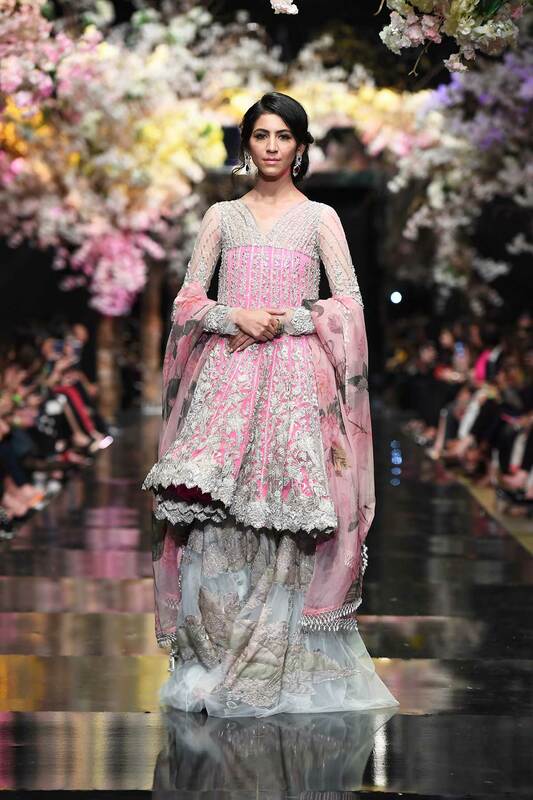 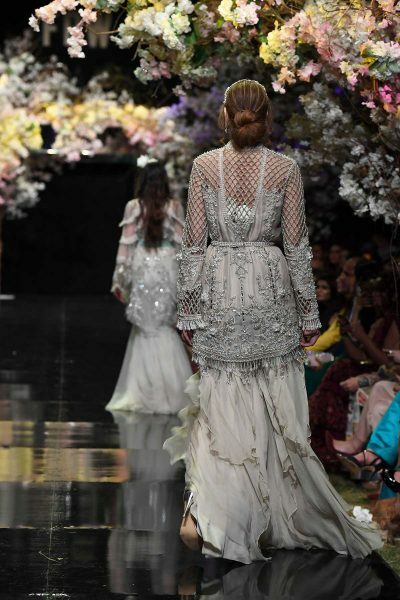 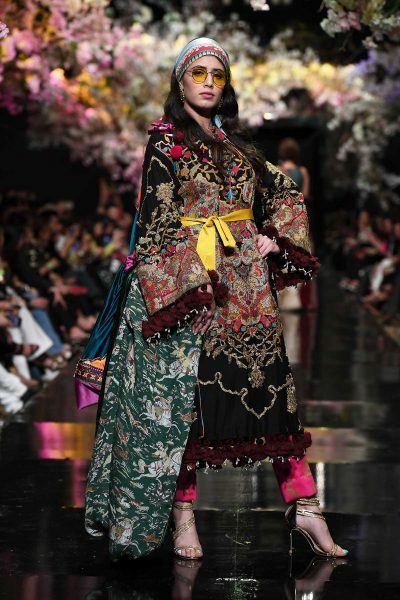 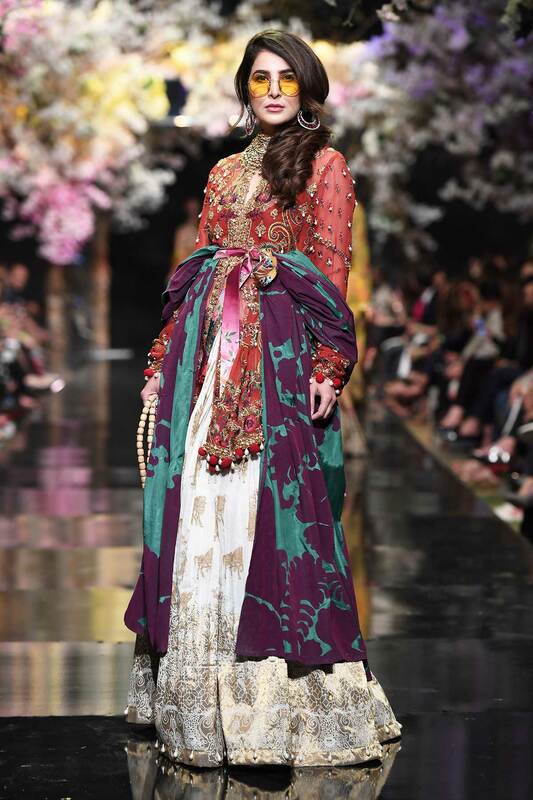 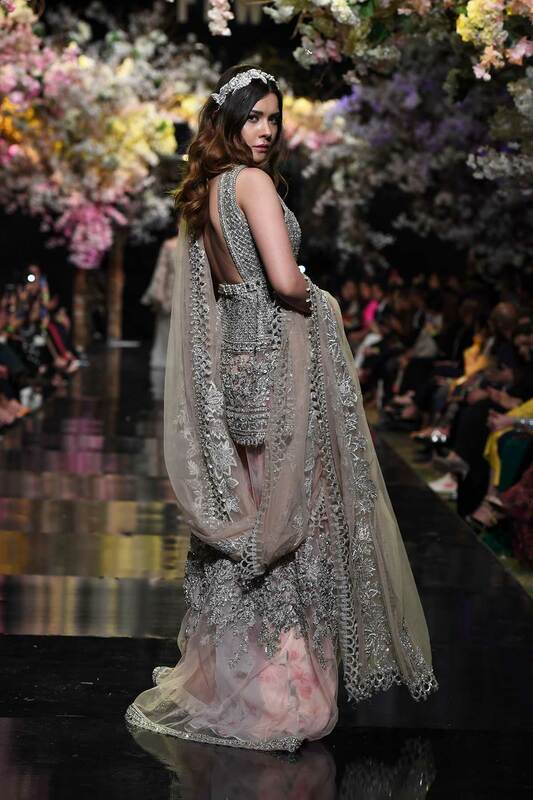 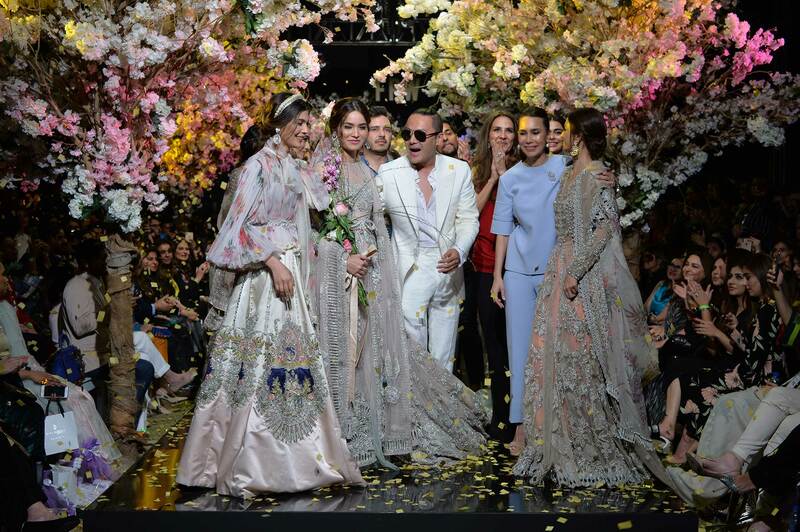 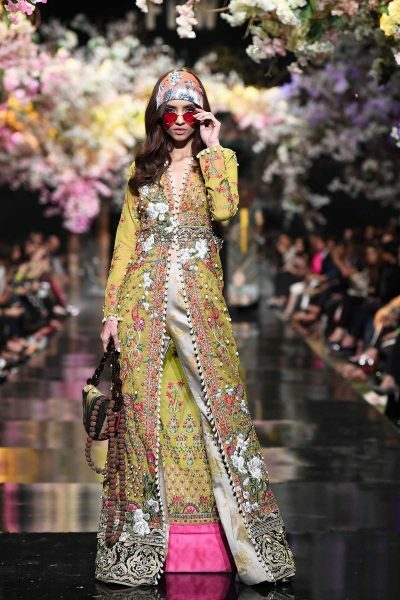 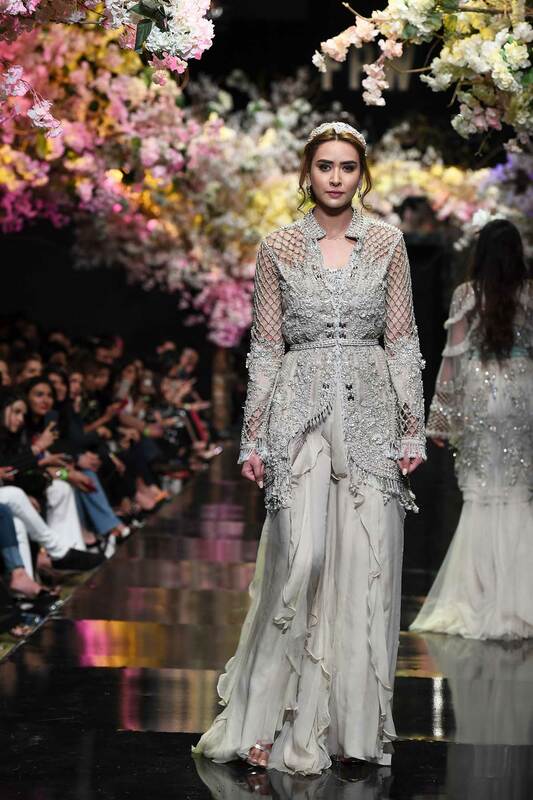 They opened FPW on the 12th of March with “A Message From the East” bridal couture 2019 collection. 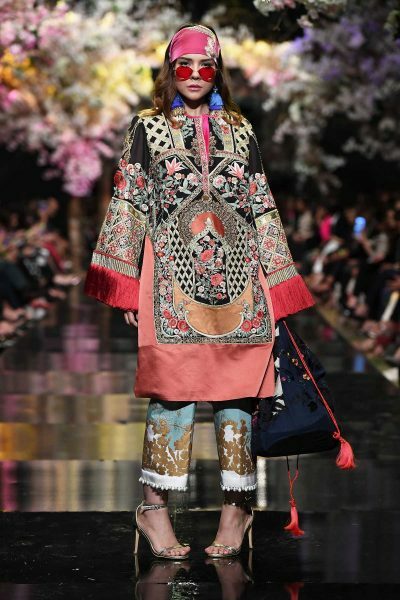 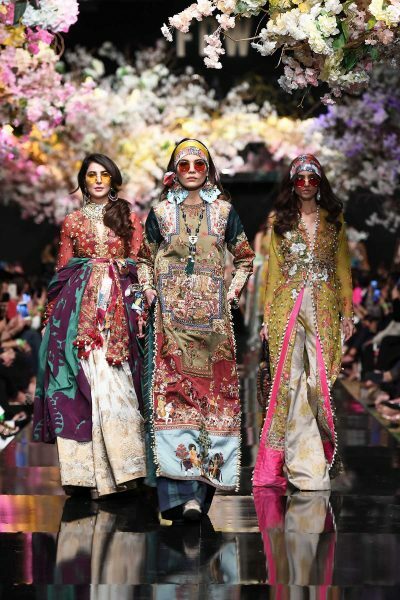 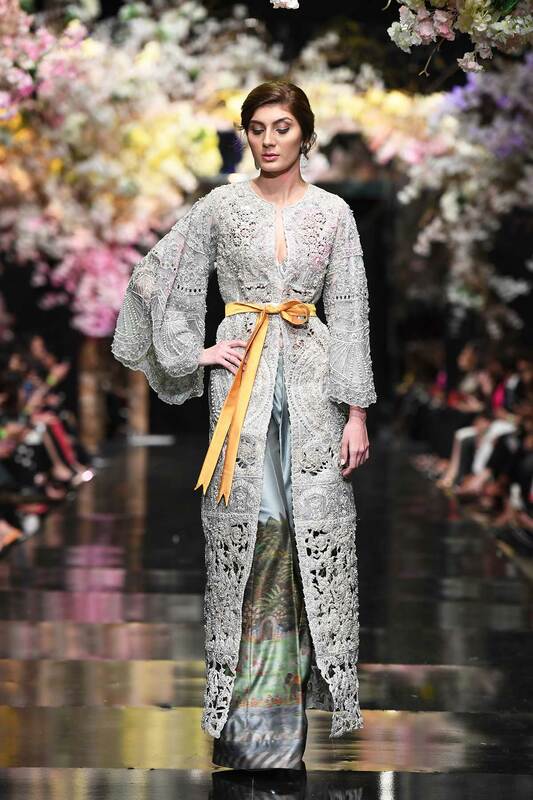 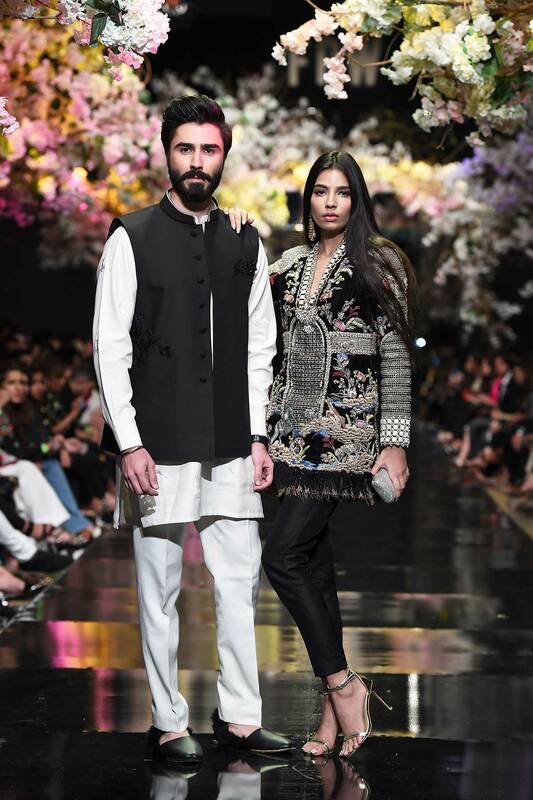 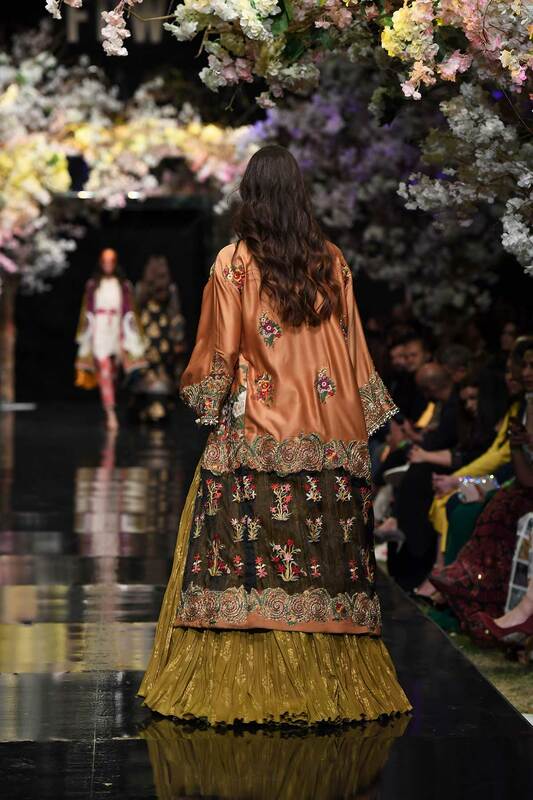 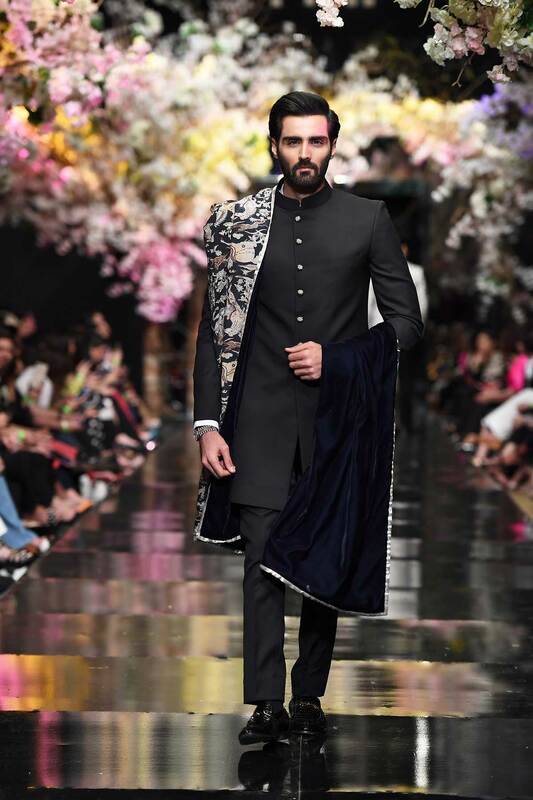 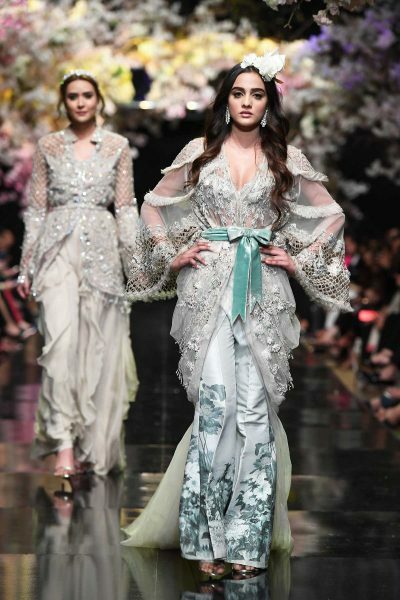 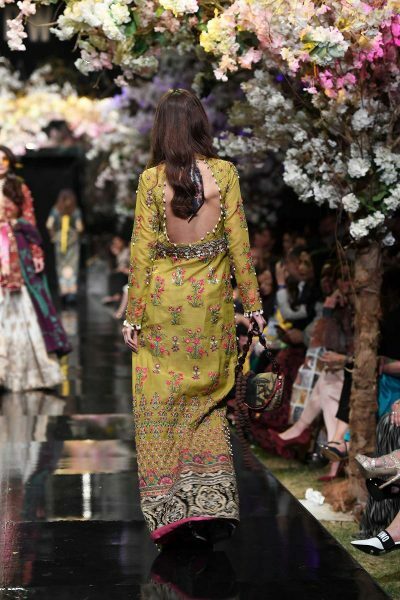 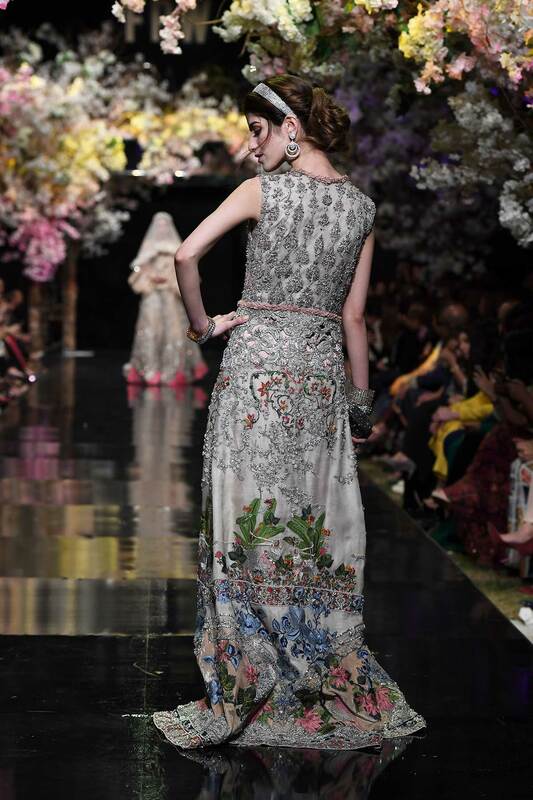 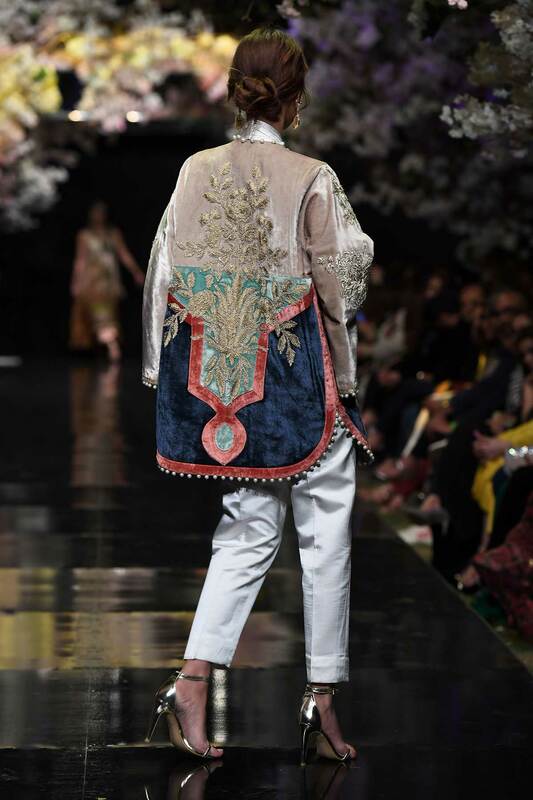 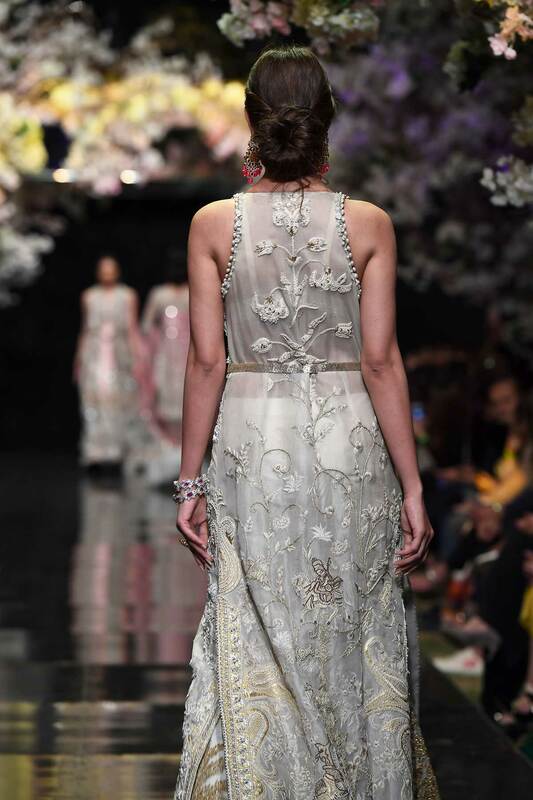 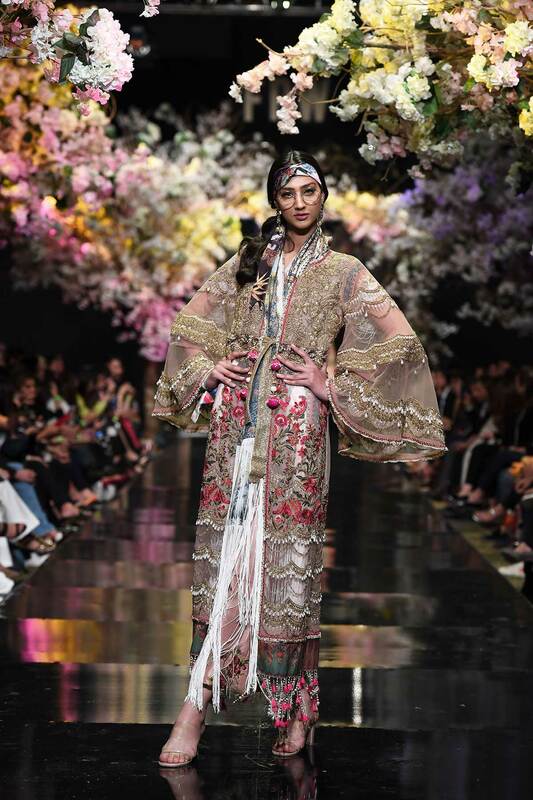 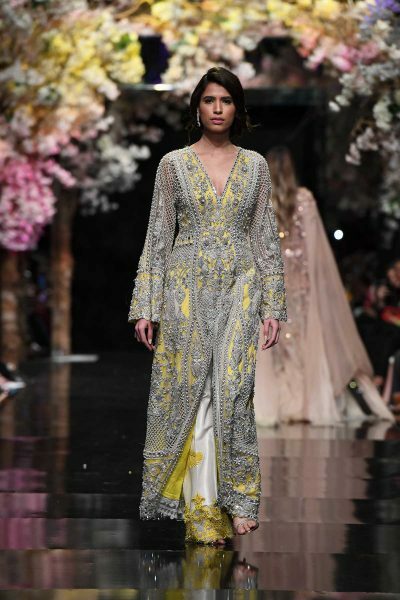 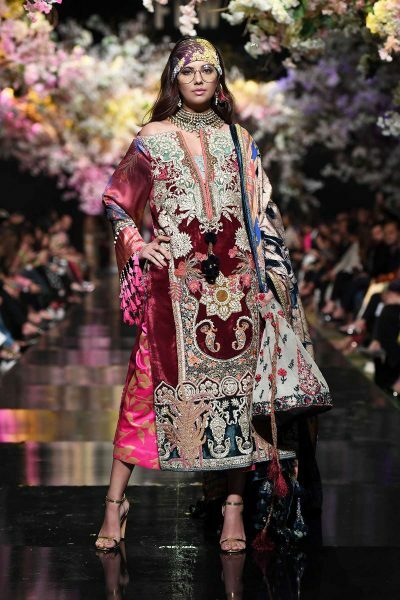 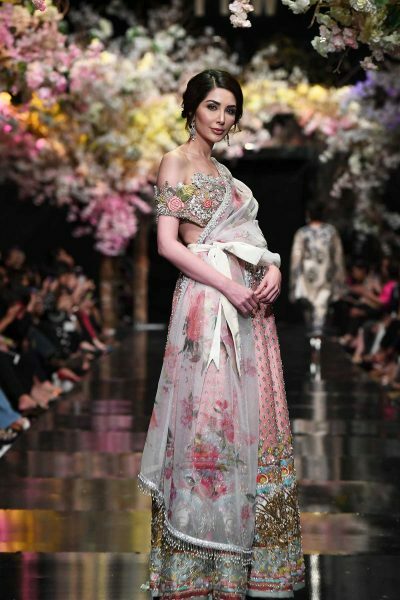 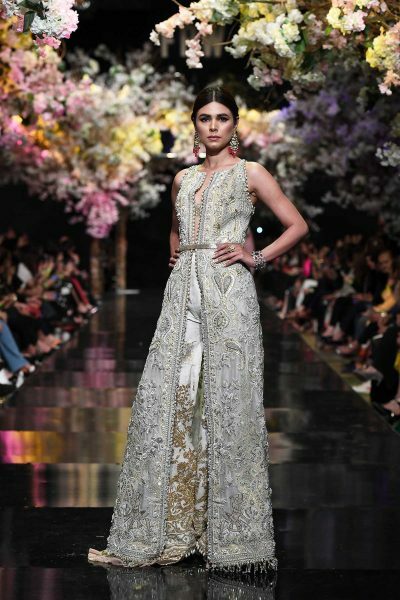 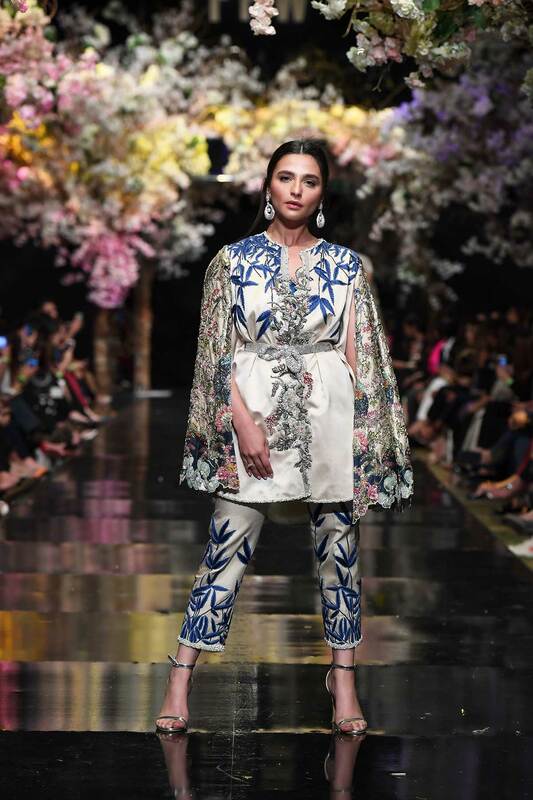 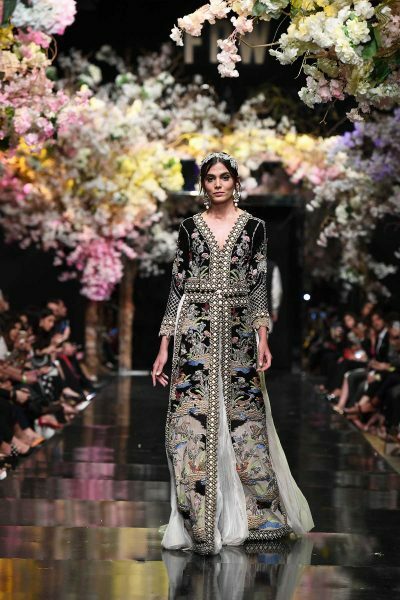 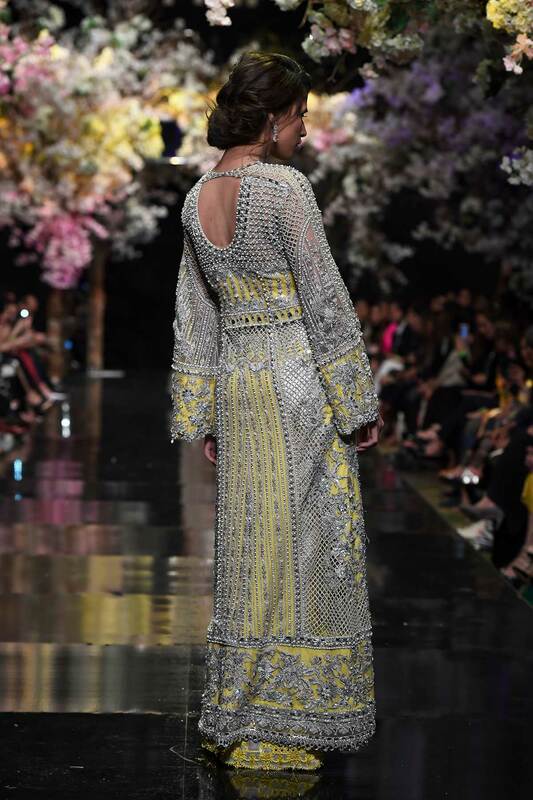 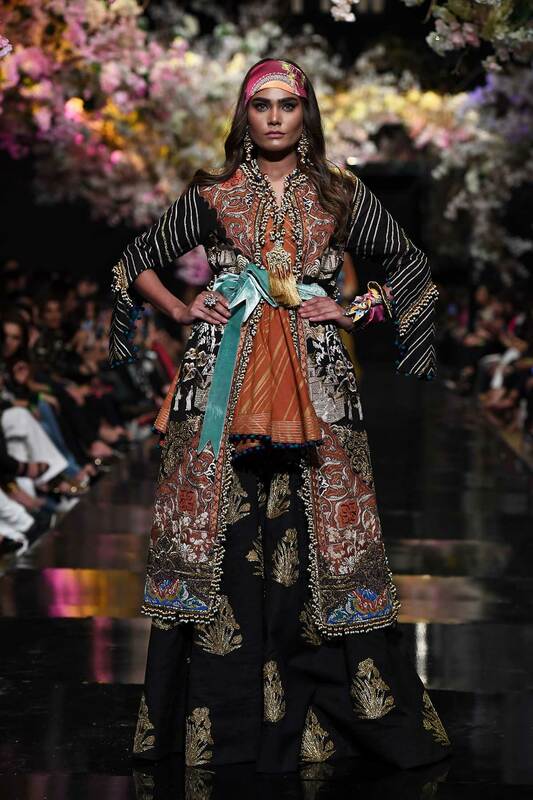 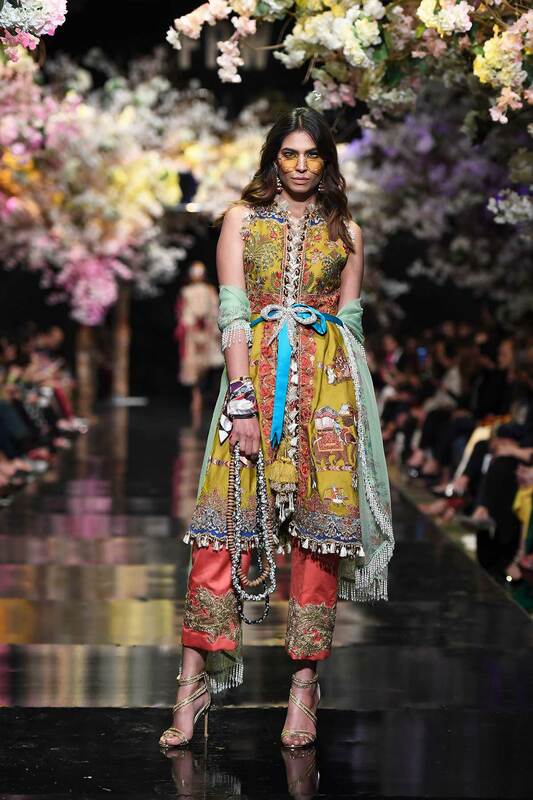 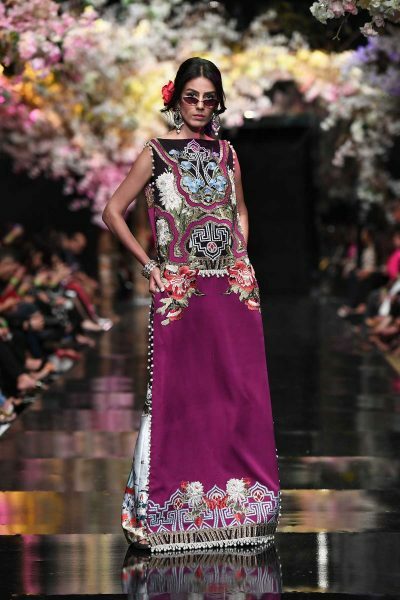 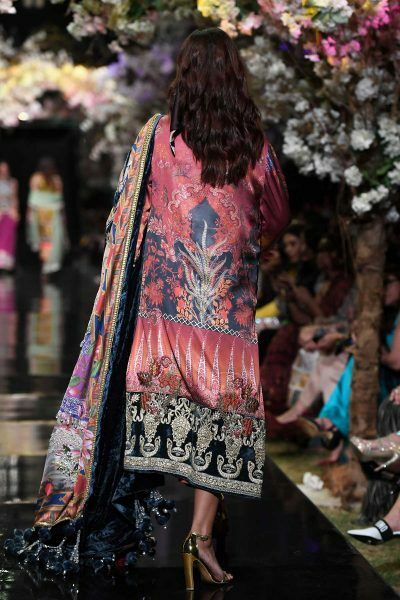 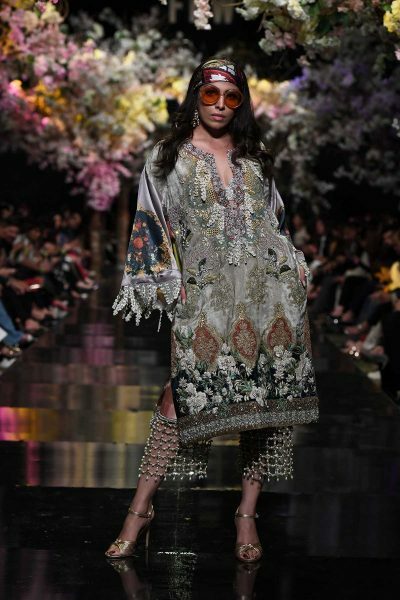 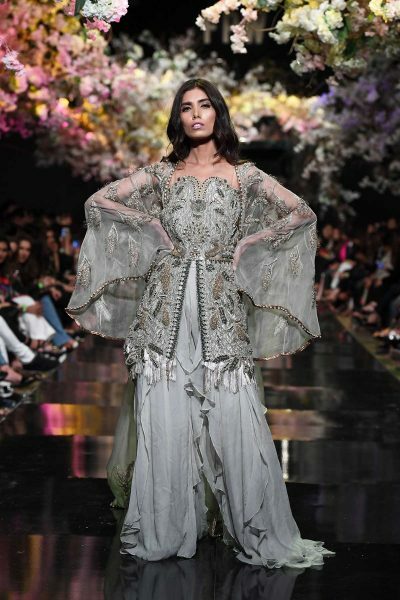 Inspired by imagery from Iqbal’s Payaam-i-Mashriq, the collection focused on renditions of the flora and fauna of the subcontinent are juxtaposed with modern cuts and silhouettes. 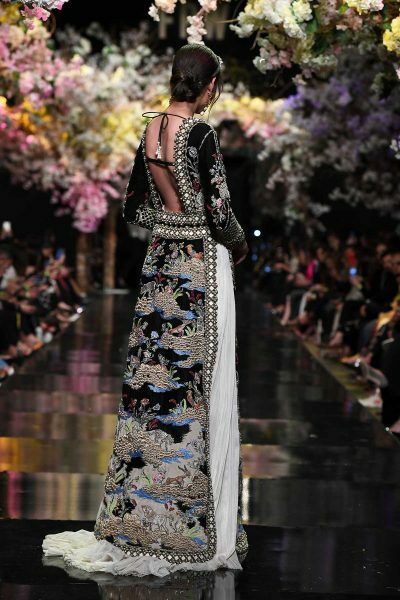 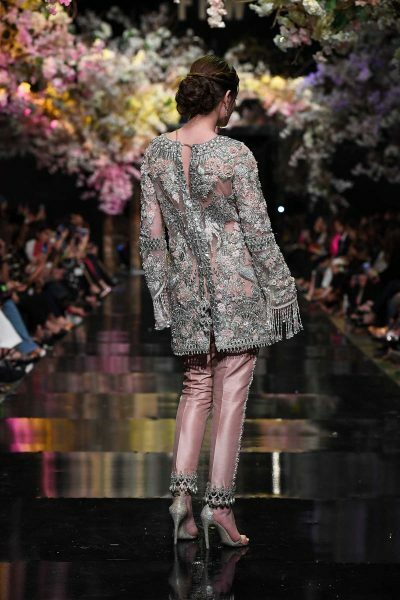 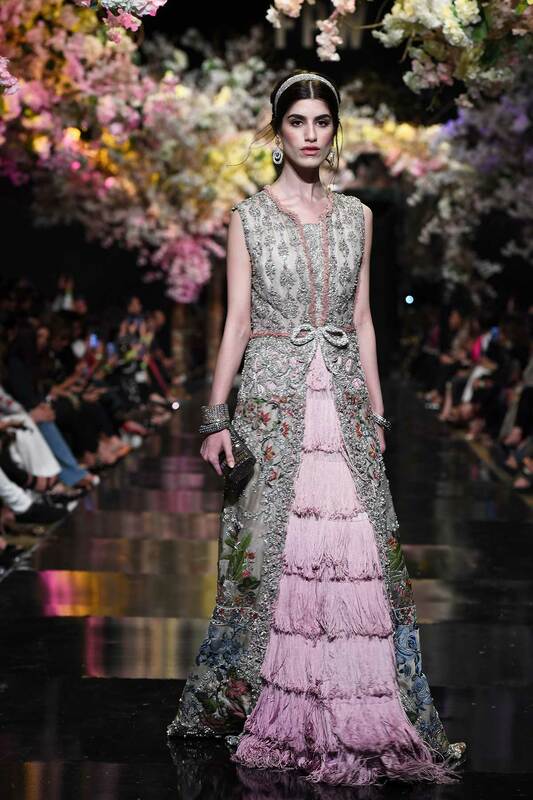 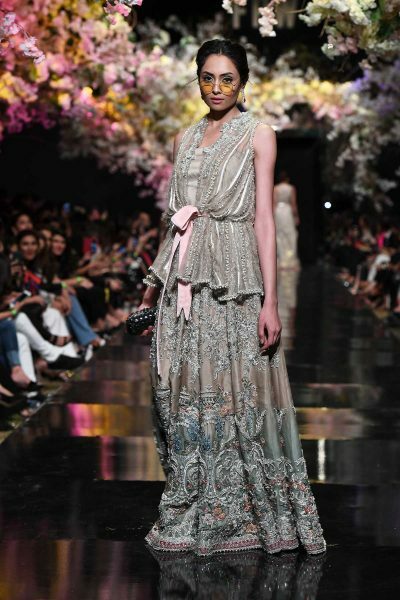 The use of rhinestones in heavy embellishments and delicate silk floss thread-work gives the collection a luxe feel. 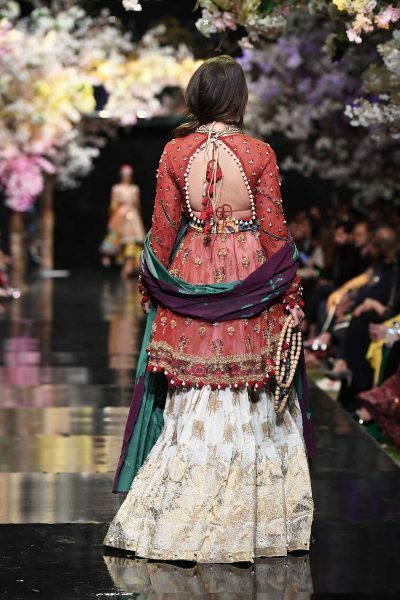 The palette ranges from pastel hues like ivories, dusky pinks and breezy lilacs to corals and deep fuchsias. 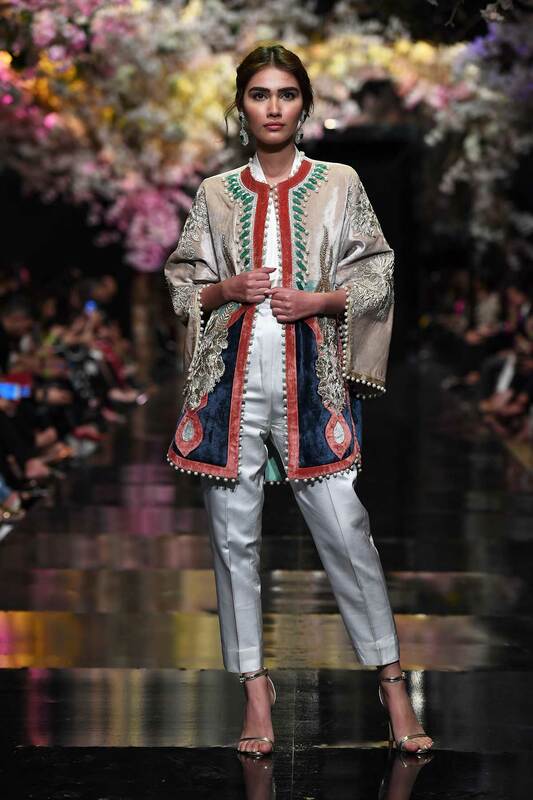 This collection really caters to those who want to tell a story with their outfit; contemporary looks of the modern era with touches of cultural heritage.